At Demeo LLP, we bring decades of legal experience to decision-making and dispute resolution. We are problem-solvers, advocates and counselors to our valued clients. Our early intervention often allows our clients to avoid litigation. When that is not possible and litigation ensues, we provide superior and unrelenting advocacy. We are privileged to represent diverse business clients in a broad range of litigation matters. The companies we represent conduct business locally, nationally and internationally. Our mission is to deliver, in a cost-effective way, the highest quality legal services available. We invite you to read about our attorneys and practice areas to learn more about the Firm. Demeo LLP represents clients in a range of business disputes, including complex commercial cases, shareholder disputes, commercial real estate cases, copyright, trademark and licensing, construction, and unfair trade and unfair competition matters. 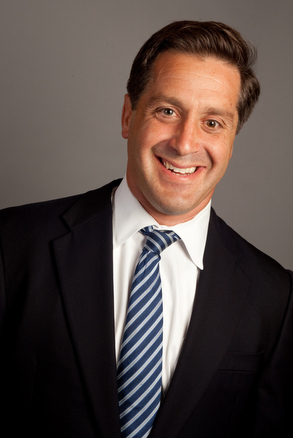 Joseph L. Demeo is the founder and managing partner of Demeo LLP. Mr. Demeo represents and advises diverse business clients in litigation matters. Prior to forming the firm in 1997, Mr. Demeo practiced law at the firm of Mintz Levin Cohn Ferris Glovsky and Popeo, P.C. in Boston. Mr. Demeo represents an array of clients - public and private corporations, banks, small businesses and individuals -- in commercial litigation matters, including contract disputes, injunction and trade secret cases, intellectual property litigation, banking litigation, shareholder disputes, enforcement of public bidding laws, real estate litigation, securities arbitrations, employment law and construction litigation. For 20 years, Mr. Demeo has delivered meaningful results for his clients in the form of victories at every stage of litigation or through negotiated settlements. Mr. Demeo is AV rated by Martindale-Hubbell, the highest peer review rating. He received his J.D. in 1992 from Northeastern University School of Law and his bachelor's degree in business administration in 1988 from the University of Massachusetts at Amherst. Mr. Demeo is admitted to practice in Massachusetts, the United States District Court for the District of Massachusetts and the United States Court of Appeals, First Circuit. He is the former Chairman of the Zoning Board of Appeals for the Town of Manchester-by-the-Sea.